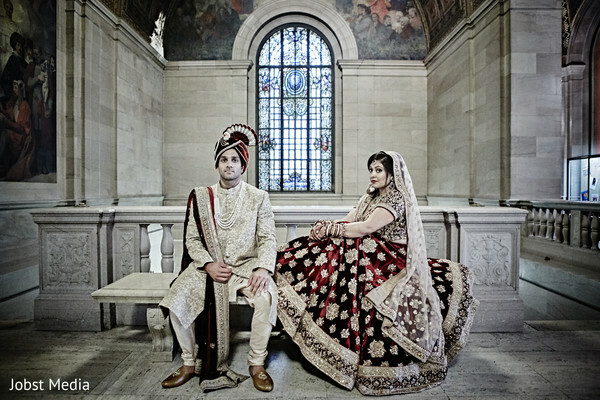 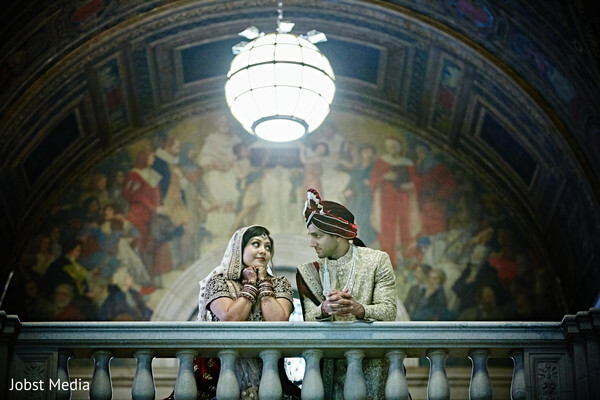 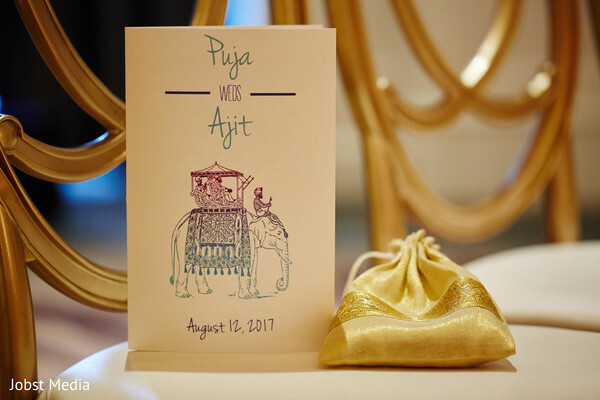 Set in one of the most lavish wedding venues of Detroit, The Westin Book Cadillac Detroit, Puja and Ajit’s affair was definitely one for the books! 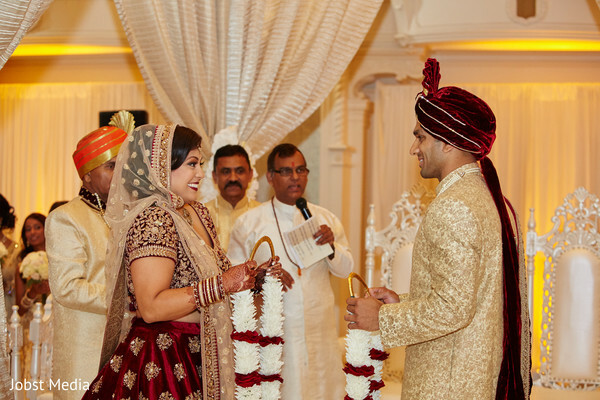 The wonderful couple decided to showcase their impeccable taste through a magnificent décor that displayed a unique floral aisle runner that led to a high round mandap all in an elegant cream and ivory color palette. 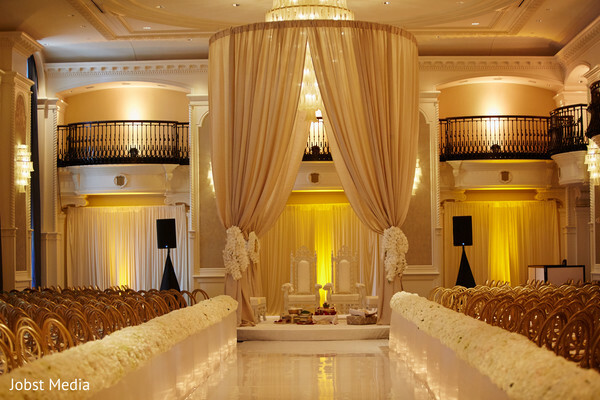 This heavenly setting created by the ultimate décor team of Yanni Design Studio was a sensory delight and it was brilliantly captured by Jobst Media who also snapped the couple’s ceremony highlight moments and portraits. 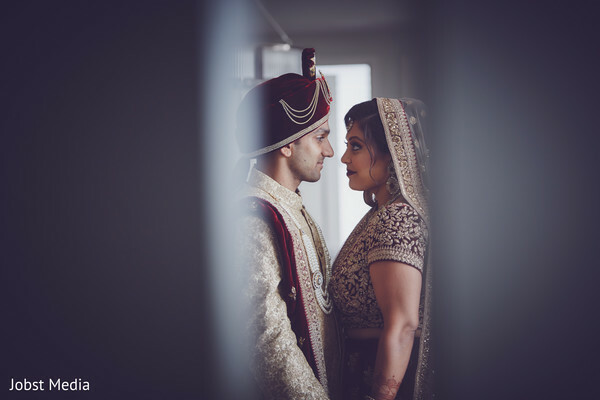 The Lavish Store transported the dapper groom in style while the bride was preceded by the bridal party in champagne color outfits that fully blended into the wedding theme! 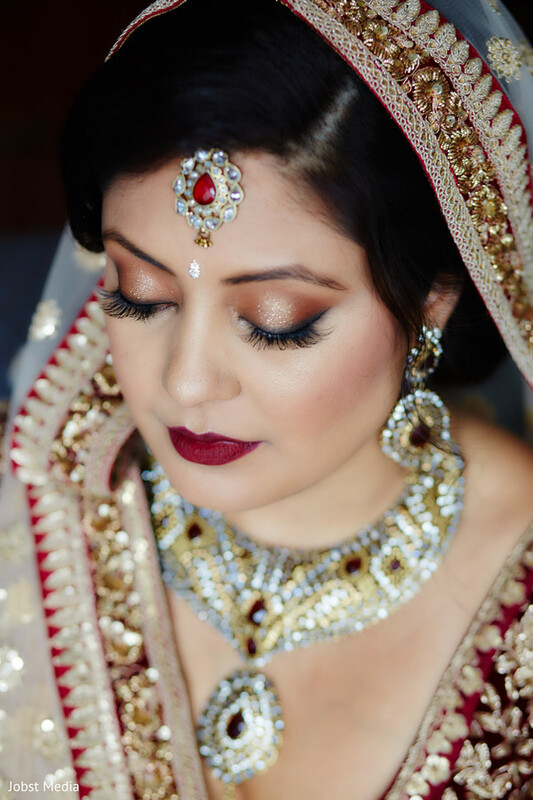 Puja was all decked in a dreamy red velvet lehenga that made her regal entry worthy of a queen! 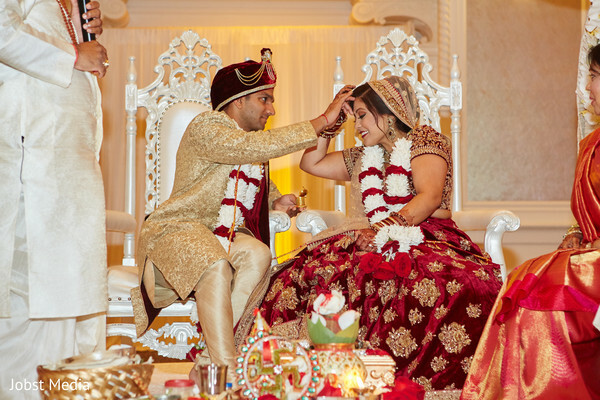 See our full gallery and believe me, you will love all the grandeur of the union of these two souls! 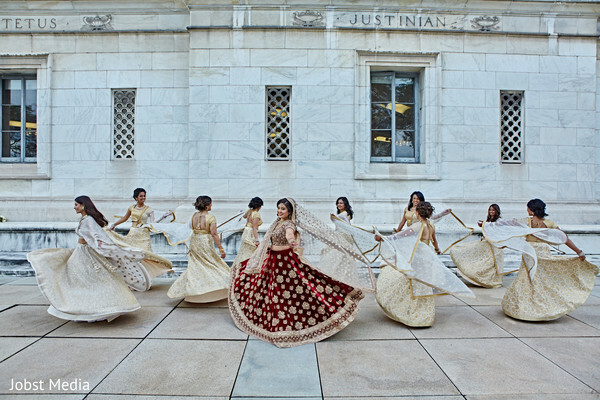 Follow me to the grand finale in our next post.